We love lions around here. There’s something about that mane and loud “roar” that just tickles my son’s imagination. 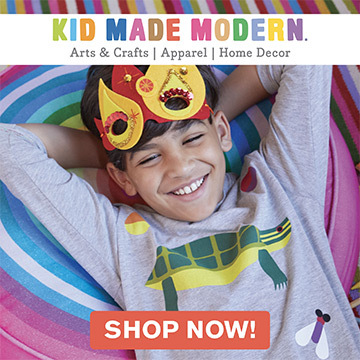 Does your child love lions too? Then you’re in luck! 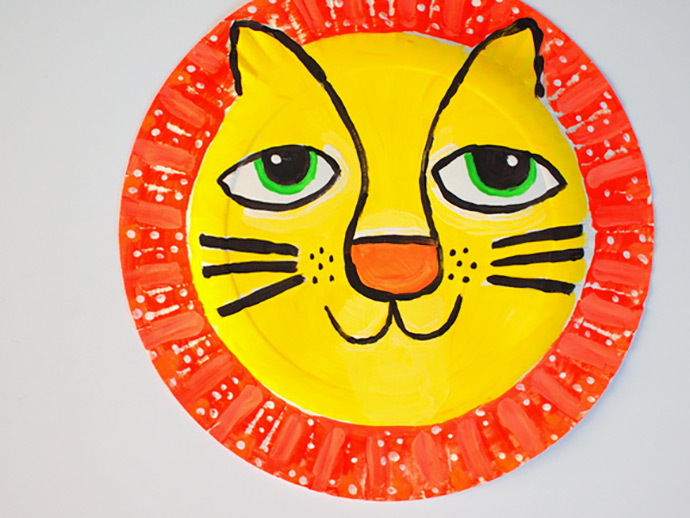 This paper plate lion mask is just for you. 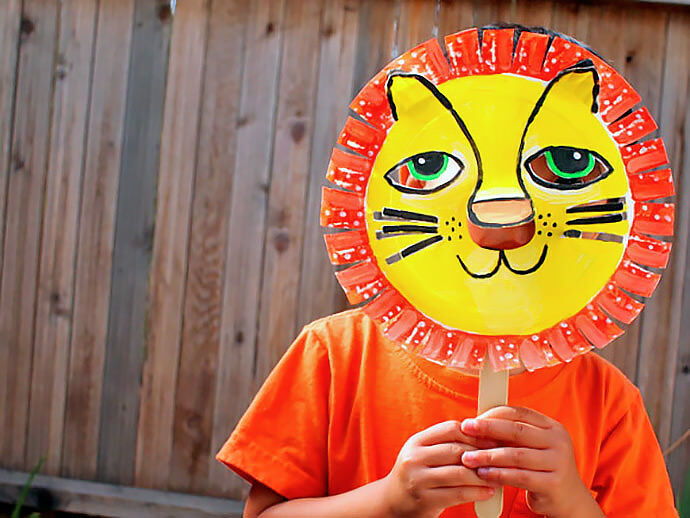 Perfect for budding zoologists of all ages, it’s colorful, easy to make, and fun to wear. 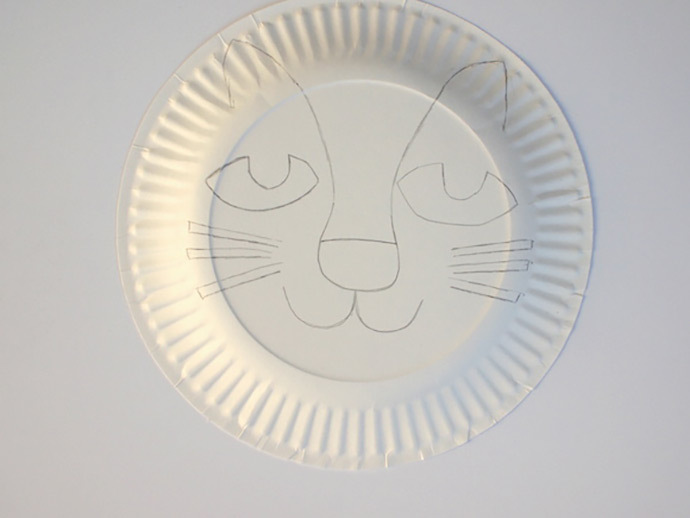 Using a pencil, draw your lion on your paper plate. 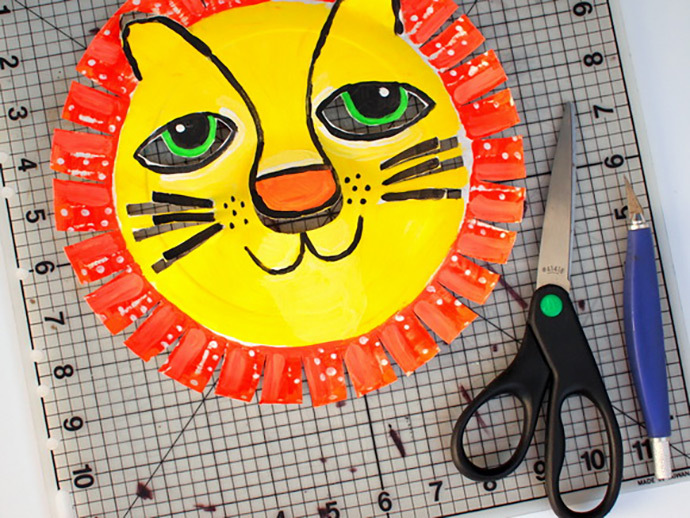 Once your paint dries, use your scissors and craft knife to cut out different parts of the mask. I snipped out triangles around the mask to create a mane. I also cut out portions of the eyes. 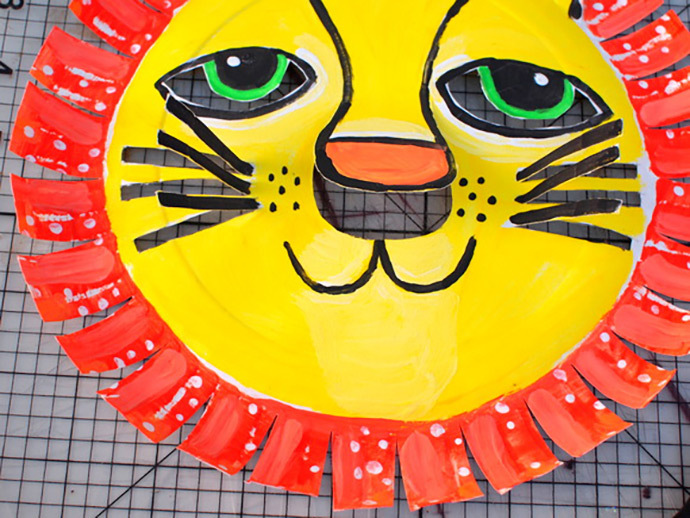 Next, I cut around the ears, the nose, and the whiskers and folded them upwards to make the mask more three dimensional. 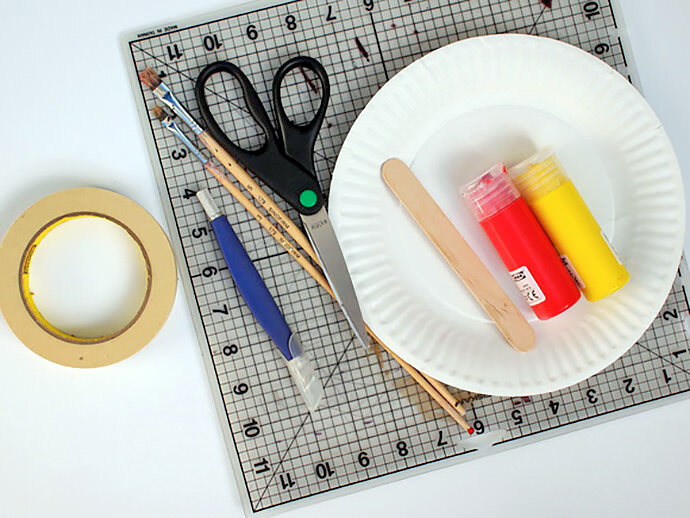 Use masking tape to attach a popsicle stick. Rawr! That’s it. Super easy peasy, right? 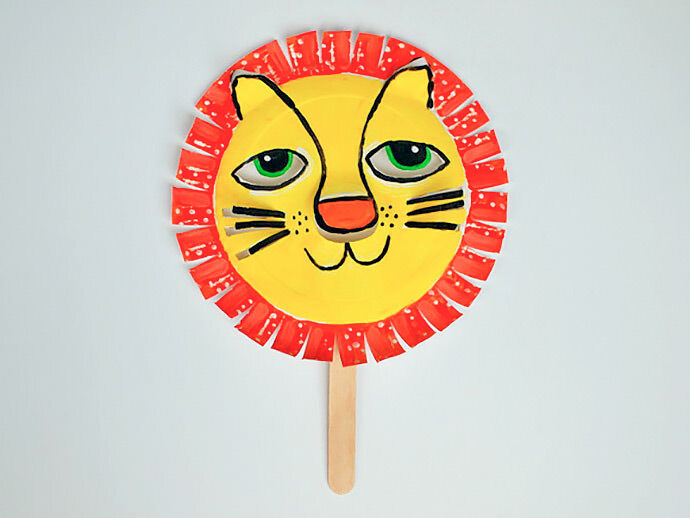 Now you have your very own lion mask, complete with pop-up ears and whiskers. 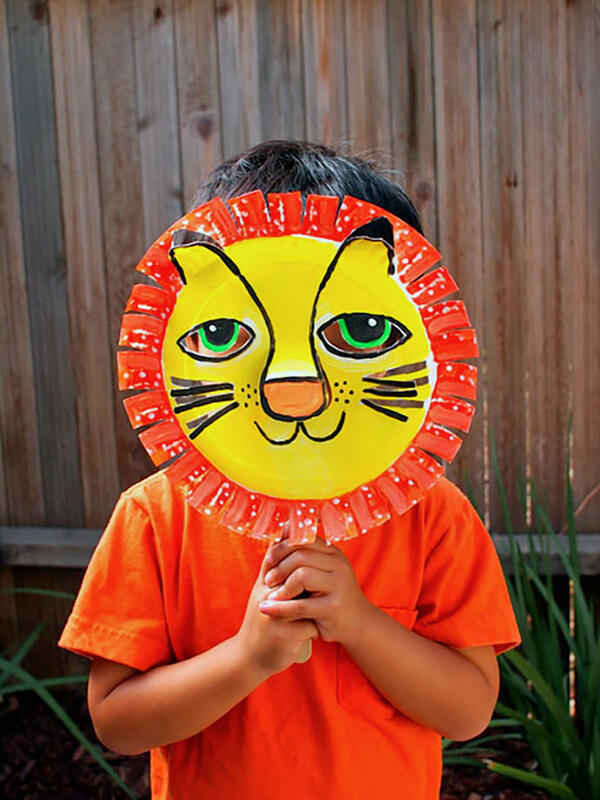 Put it on and have fun pretending to be the king of the jungle! 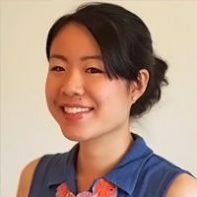 Great idea and so adorable!